Where better to get into the festive spirit than at Kraków’s famous Christmas Market and the idyllic mountain resort of Zakopane? 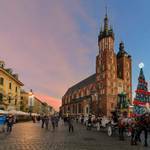 One of Poland’s oldest cities, dating back to the 7th century, Kraków is steeped in myths and legends, and boasts attractive streets and squares to rival any city in Europe! 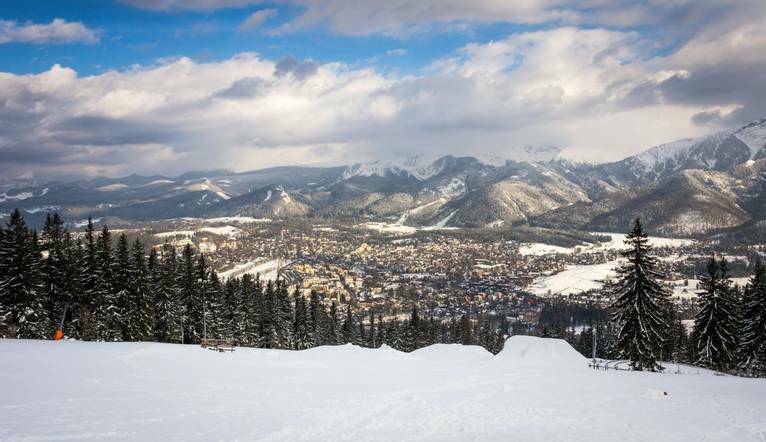 Nestled in the foothills of the Tatra Mountains, Zakopane is Poland’s best known mountain resort. Today we can breathe in the fresh mountain air as we spend the day in the picturesque town and its wintery surroundings. During our full day tour we will take a trip by funicular to Gubałówka Mountain. The mountain is a popular tourist attraction, offering commanding views of the Tatras and Zakopane. In 1938 the funicular connected Zakopane to the top of Gubałówka. After breakfast we will have some free time to explore Kraków a little bit more and buy some souvenirs. In the afternoon we’ll transfer to the airport for our return flight home. Our hotel is located in central Kraków, only 1,050 yards from Wawel Castle, 800 yards from the Old Town and 400 yards from the Vistula Boulevards. The hotel is situated next to the Tatra National Park, near one of the most beautiful Tatra valleys – the Białego Valley. The Zakopane city centre is about a 10-minute walk away. At the property you will find a 24-hour front desk. Other facilities offered at the property include a shared lounge, games room and the stylish Negresco Bar which offers a wide selection of drinks. The hotel has four restaurants and two bars. 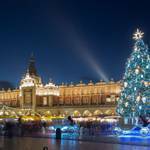 In the morning a buffet breakfast will be served in Wieniawy Restaurant. Other facilities at the property include SPA centre, wellness centre, sports centre and hair studio (extra fee). In each room you will find customised, designer furniture, Egg type or Sweetie armchairs, illuminated safes and suspended minibars as well as TV, private bathroom, wardrobe and free WiFi access. The rooms at this hotel feature a minibar, a safety deposit box and free WiFi access. Each bathroom has a shower, heated floor and a hairdryer. 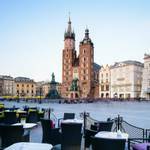 The transfer time from Kraków Airport to your hotel in Kraków is approximately 30 minutes, depending on the traffic. Aprrox. 4 hour guided visit of the Kraków and a day tour of Zakopane with a guide is included in your touring package. Dressing in layers with warm, casual evening wear is recommended with comfortable footwear. Warm waterproof shoes are also essential with warm socks, gloves, hat and scarf. Winters in Poland are usually cold.